We’d love your help. Let us know what’s wrong with this preview of The Vampire Lord Ruthwen by Charles Nodier. To ask other readers questions about The Vampire Lord Ruthwen, please sign up. Written by Cyprien Bérard as a continuation to John Polidori's tale Le Vampire, the French translation of The Vampire released in 1820, this is the first vampire novel ever written, and upon which Charles Nodier made out a mayor classic for French 19th Century theater. Personally, I see this novel as extremely important to get to a deeper understanding of the vampire in literature. Its chronologic place is after Lord Byron's poem The Giaour and John Polidori's tale The Vampire and as the first va Written by Cyprien Bérard as a continuation to John Polidori's tale Le Vampire, the French translation of The Vampire released in 1820, this is the first vampire novel ever written, and upon which Charles Nodier made out a mayor classic for French 19th Century theater. 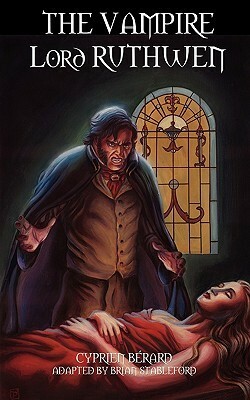 Personally, I see this novel as extremely important to get to a deeper understanding of the vampire in literature. Its chronologic place is after Lord Byron's poem The Giaour and John Polidori's tale The Vampire and as the first vampire novel ever, before Joseph Sheridan Le Fanu's Carmilla, James Malcolm Rymer's and/or Thomas Preskett Prest's Varney The Vampire and Bram Stoker's Dracula. Also from a literary point of view, I'd clearly state Cyprien Bérard's Le Vampire, as published in its French original, belongs into the same shelf together with these mayor classics. I loved this short story by Cyprien Berard. It is a form of sequel to John Polidori's "The Vampire" as it brings back to life (pun intended) the figure of the beautiful but deadly Lord Ruthwen. I cringed at some point of the story and I can remember crying "DON'T!" out loud while reading it. Jean Charles Emmanuel Nodier (April 29, 1780 – January 27, 1844), was a French author who introduced a younger generation of Romanticists to the conte fantastique, gothic literature, vampire tales, and the importance of dreams as part of literary creation, and whose career as a librarian is often underestimated by literary historians.